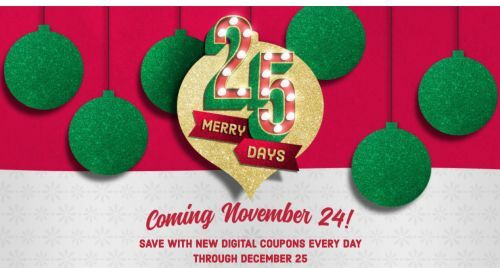 Kroger is having 25 Merry Days they are giving away coupons for lots of free products. Click the link below to go to the page. Once on the page click on "Kroger" to go to the coupon page. Note* you will have to sign up to gain access to coupons.